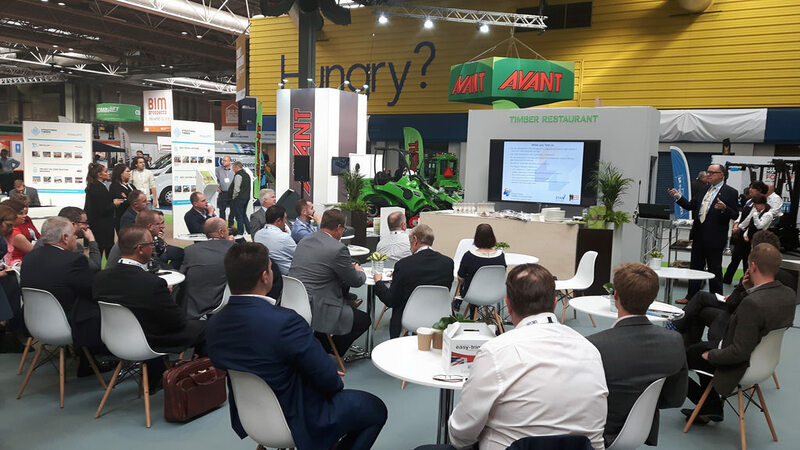 From 10 to 12 October 2017, the CTI stand T445 and the adjacent Timber Restaurant at Timber Expo hosted a wide series of workshops and meetings organised under the aegis of the Confederation of Timber Industries (CTI). 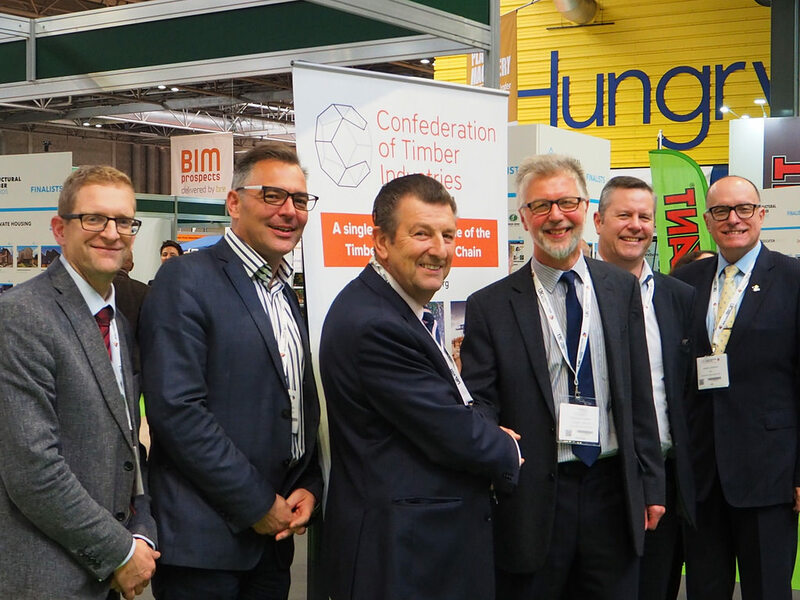 Three major trade organisations, such as the British Woodworking Federation (BWF), the Structural Timber Association (STA) and the Timber Trade Federation (TTF), shared the same stand with the stated objective to promote a collaborative approach across the Timber Industry. 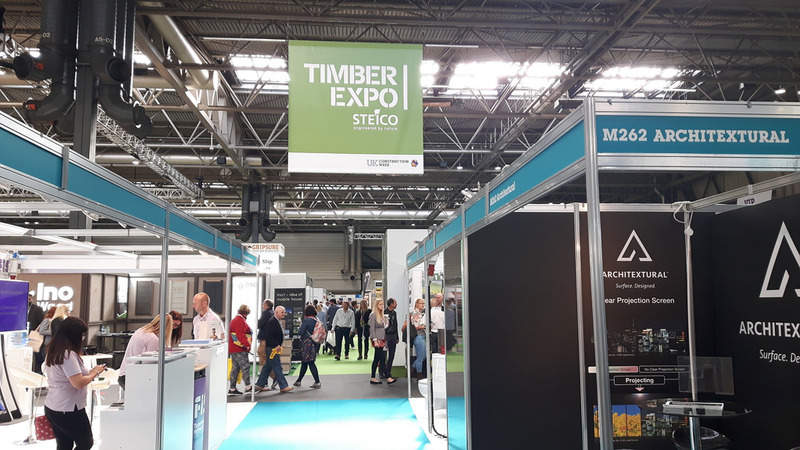 Timber Expo visitors had the chance to get a comprehensive overview of the UK Timber Sector by talking with the Staff on side and collecting relevant publications and guides. The events agenda for the CTI and its partner organisations opened with the launch of the STA Industry Survey Report on Tuesday 10th. 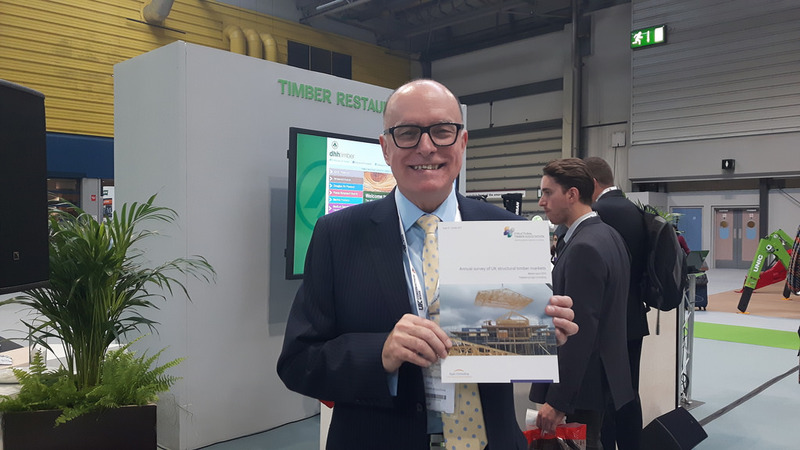 The publication focuses on the UK home building market to 2016 offering an insight on housing starts, timber frame developments, timber sector production and capacity. It also proposes an interesting view on the housing market forecasts to 2020/2021. The same day, the Wood Protection Association (WPA) joined the CTI. 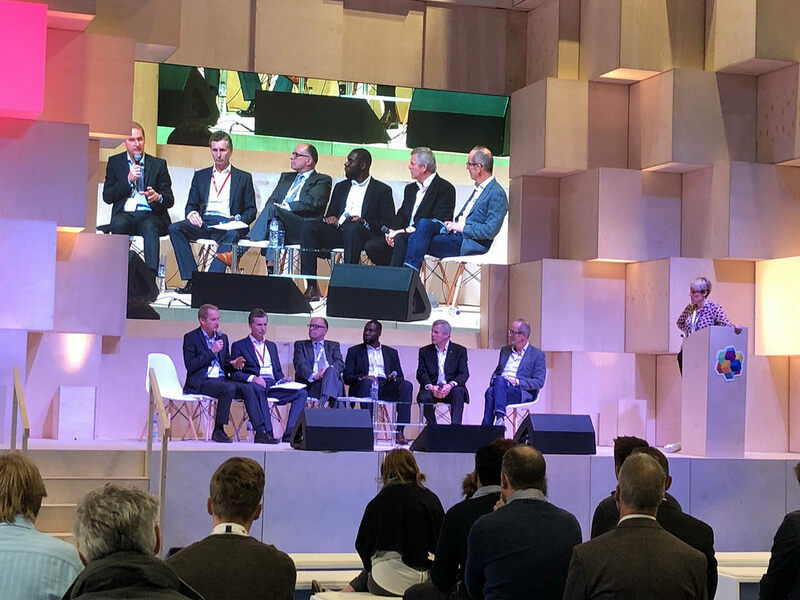 The WPA is the leading UK technical and advisory organisation dedicated to improving the performance and value of wood as a sustainable construction material. 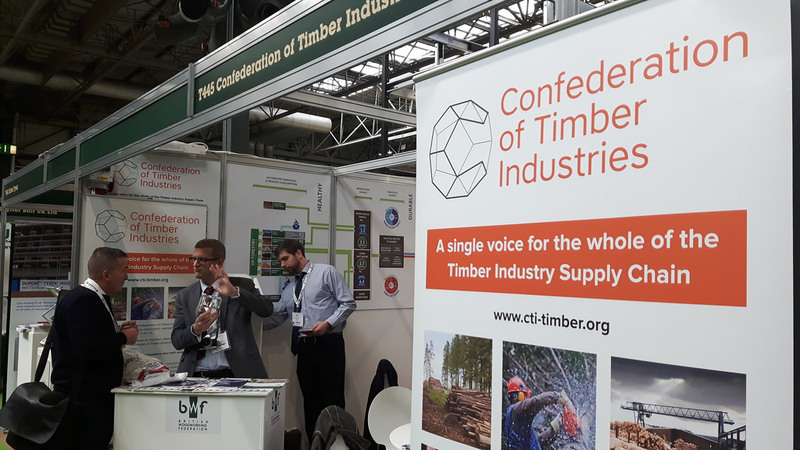 The paperwork was signed on the CTI stand marking another important step in the growth of the Confederation and representation for the timber industry supply chain. Roy Wakeman OBE, Chairman of the CTI, commented: “As we look forward to developing our Industrial Strategy we need to be mindful of every stage in our process, improving productivity and innovating our products to ensure they maintain the highest possible performance, health and sustainability credentials. It is great to have the WPA with all the expertise they bring in timber treatment and protection to this forum”. 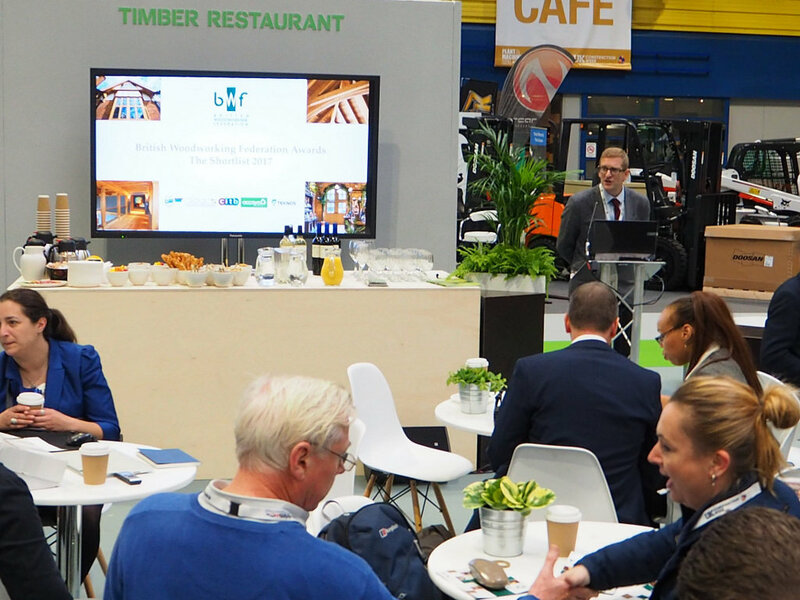 The first day at Timber Expo closed with the Structural Timber Awards 2017. 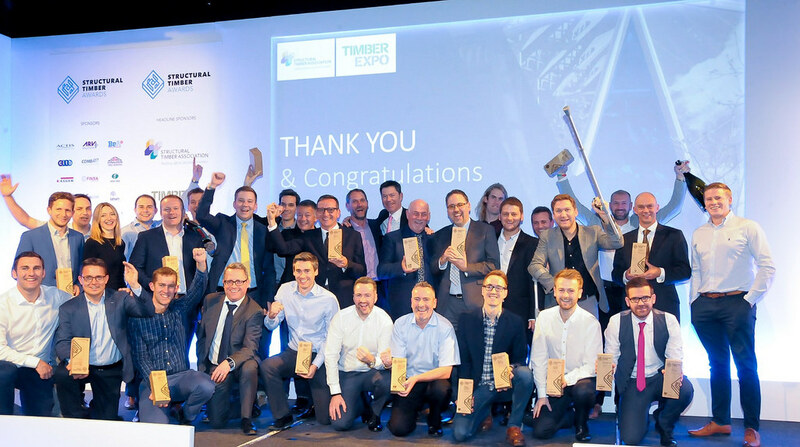 More than 500 leaders and innovators from across the construction sector gathered at the National Conference Centre in Birmingham for the prestigious award ceremony which rewards outstanding projects, innovative products and dynamic people across the entire UK structural timber sector. *The winners will be announced at BWF’s Annual Dinner taking place at Drapers’ Hall, London on Friday 24th November. 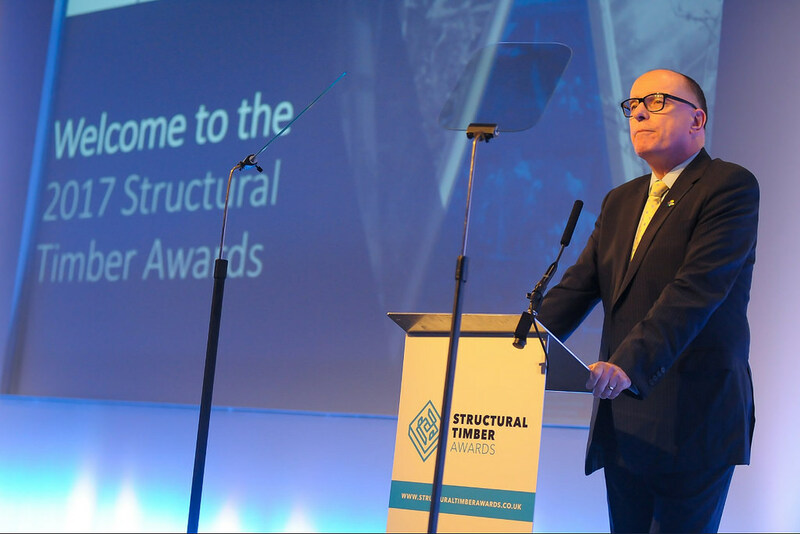 “It’s always been a joy and sense of pride to see the fantastic work that the UK woodworking industry is doing and the record number of entries this year underpins just how inspiring and innovative this sector endemically is,” said BWF Chief Executive Iain McIlwee. 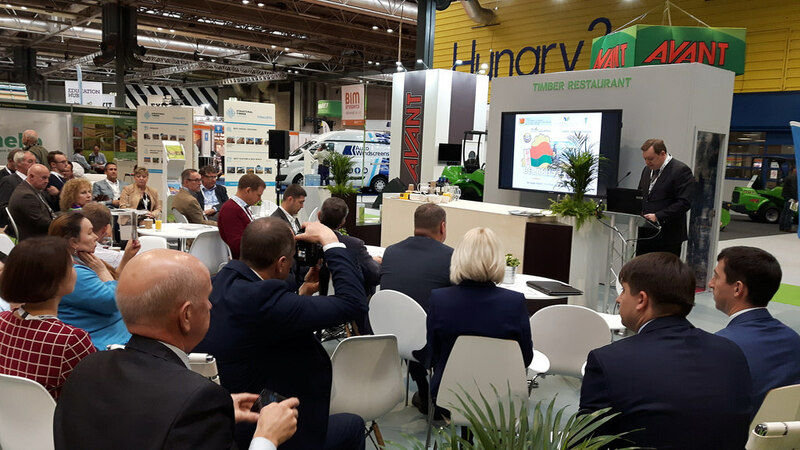 The event was followed by the seminar ‘Timber: Doing Business in Belarus’ organised by the Timber Trade Federation in conjunction with the Embassy of the Republic of Belarus in the UK. The workshop – preceded by a meeting between the TTF team and the Ambassador of Belarus in the UK H.E. 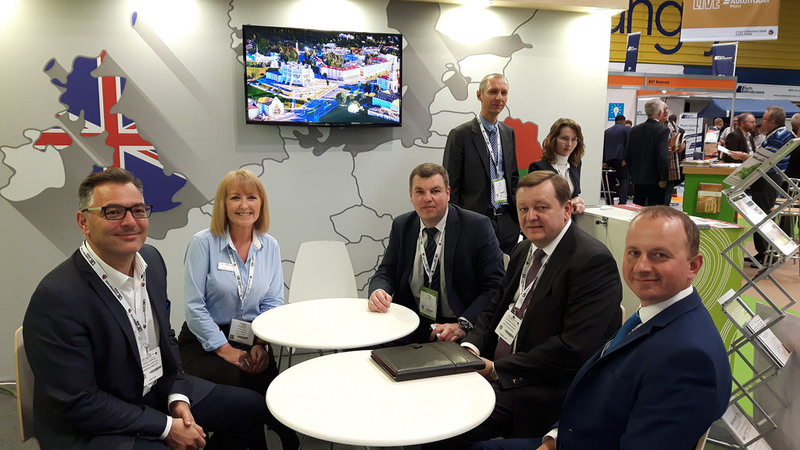 Sergei Aleinik – managed to bring TTF Members and Belarusian Companies together to explore new markets and facilitate trade. “We are always keen on facilitating trade with new suppliers and helping open new markets,” said TTF Managing Director David Hopkins. “Belarus is a timber trade exporting nation which has mostly exported to the UK via third countries. This event will explore ways we can encourage direct trade between the UK and Minsk. On Thursday 12th, the British Woodworking Federation run two different events. 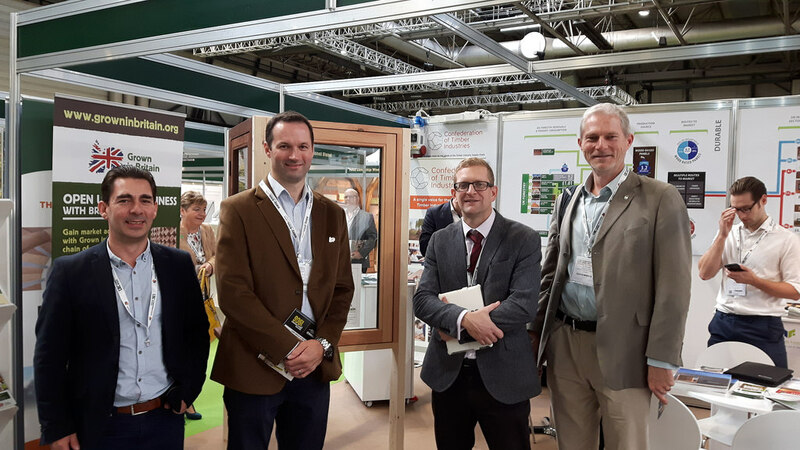 In the morning, the CTI Stand was filled with visitors attending the launch of the BWF & Grown in Britain certified windows line. 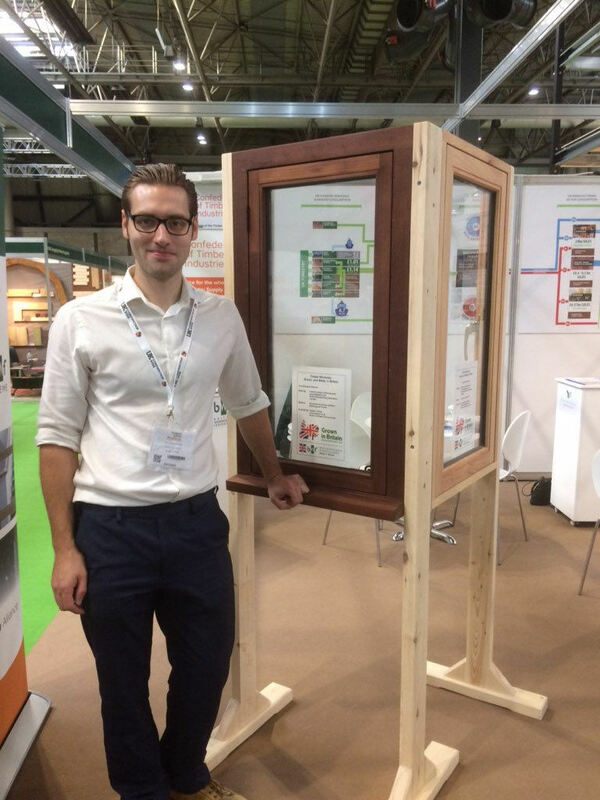 An exemplar timber window was shown at the Stand to demonstrate a meeting point between the British Woodworking Federation’s ‘Made in Britain’ campaign and the timber licensed under the Grown in Britain scheme. Finally, at lunchtime, the Timber Restaurant hosted the launch of the new BWFStaircase Design Guide. The publication offers industry guidance for the manufacture of timber stairs for the UK market. The Guide covers stair specifications for basic flights, handrails, balusters and other guarding by providing advice on suitable sections, by reference to historical data, design tables, calculation or suitable test methods. The CTI would like to take this opportunity to thank its partner organisations and stakeholders for their great support! Obviously, many thanks also go to all the Timber Expo participants who paid a visit to our Stand!